What is one must-attend conference or event you’re looking forward to in 2014, and why? The Forbes Women’s Summit does a great job at bringing together women from all backgrounds. There are top CEOs, first-time entrepreneurs and other top women executives from corporate America. Dinner the night before the conference gives each attendee a chance to get to know the other guests in an intimate setting and to discuss how women can continue innovating and advancing in the workplace. I attended Big Omaha last year and was thrilled with the speakers and attendees I met. Some standout speakers included CindyGallop and Catherine Rohr of DefyVentures. I’m always a fan of conferences with amazing female speakers. The O’Reilly Strata conference has been on my list to attend for over a year now. They are geared towards the data startup and have so many topics and great speakers that I think will help me explode growth for my company. eMetrics Summit is all about analytics and data. I’ve been going for five years and it’s helped me understand all the challenges of analysts. Analyzing data and understanding how data flows in a large organization is a critical skill for all of us. Too few of us have a strong grasp on it, and this is an excellent conference to get a view into that skill set. There are a lot of great events I’m looking forward to this year, but the one I’m probably most excited about is this year’s PSFK conference. PSFK presents a ‘curated collection of creative thinkers will present new ideas in design, innovation and storytelling to an audience of peers’ in New York City on April 11. I’m most looking forward to attending the Empact Showcase in 2014. Every year, this has been my favorite event. They pull together the country’s top U.S. entrepreneurs age 35 and under with revenues over $100,000. I’m really excited for the first-ever Lesbians Who Tech Summit, which brings together hundreds of queer women and allies across all areas of technology. Oftentimes it’s hard for LGBT women to find and connect with one another, even inside their own companies. The Summit is building a community of queer women in tech worldwide. As we kick off 2014, I am looking forward to an announcement soon about how they will top last year’s event! The annual Wired Business Conference brings together business leaders effecting change through innovation, using new technologies to help them make a big difference. Speakers share an ambition that inspires, and 2013 included talks by several notable women in business, including Tory Burch and Marissa Mayer. A lot of our clients are in the HR technology industry, and my favorite show by far is the HR Tech conference organized by the HR Executive manage. There’s no better way to find out what’s new in the industry and network with other marketing executives, HR pros and trade media in the industry. I’m very excited about Dent because it’s a small, curated group of people and there is a strong emphasis on relationship-building. The content looks fantastic and it’s the type of experience that leaves entrepreneurs inspired to be more creative — the perfect energy to kick off a productive spring season! As women entrepreneurs, it’s vitally important that we take the necessary time to fill our own selves up — journaling, meditation, quality food, exercise, whatever it is. We must take exquisite care of ourselves in order to best serve others. My “must-attend” is the “Celebrate Your Life” conference headlined by hugely inspiring speaker and author Marianne Williamson. This conference, put on by Chris Guillebeau of the $100 Startup, is truly the best conference I have ever been to. I cannot wait to go again this July. It might already be sold out, but if you can snag some tickets — DO IT! Tony Hsieh’s Life Is Beautiful festival is a perfect example of the type of holistic viewpoint entrepreneurs should have in terms of the intersection of our purpose, the people we love, and the places we enjoy. 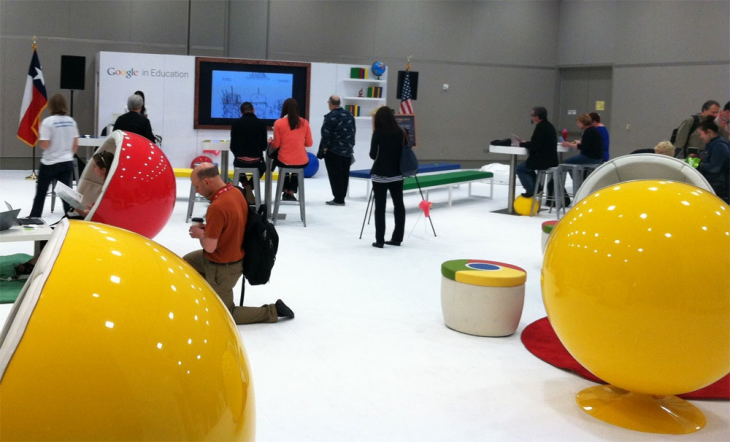 SXSWedu is the most incredible conference for ed tech entrepreneurs and soon-to-be entrepreneurs. The speakers are fantastic, but the camaraderie is even better. There is also always an Ed Tech Women event at the conference organized by Sehreen NoorAli, which is one of the most inspiring networking events I’ve been to in a while. I spoke at The Conference for Women last year amongst incredible women — including Hillary Clinton and Madeleine Albright. For any women entrepreneur, small biz owner, or thought leader, this a MUST-attend event. What you’ll get is incredibly productive advice on running your business and amazing networking with high-profile women. You’ll also add a level of prestige to your own brand. I’m looking forward to the Women 2.0 conference in San Francisco, because of the speakers and the companies represented (all in the tech space, and the speakers are women). Plus, it’s local, which fits my startup budget perfectly! SXSW is Blippar’s must-attend event. A melting pot of every business connection we could hope to meet: top brands scoping out what’s ‘hot’ in the startup tech scene, every key agency in the land, and thousands of inspirational startups. I’m an avid fan of TED — local (TEDx), national, and women-only. TED is an opportunity for me to get outside my comfort zone and learn from others about all the cool things going on. I always find connection points to my work and feel better about the future! I also improve my storytelling ability by watching others do their talks. Wisdom 2.0 is an awesome opportunity to take a step back from all of the business pitching and reflect on yourself as a leader. Speakers like Arianna Huffington and Tony Hsieh take the stage and share tips on practicing mindfulness, and attendees are discouraged from pitching one another. In true San Francisco fashion, it comes complete with breaks for meditation, journaling and goal setting.